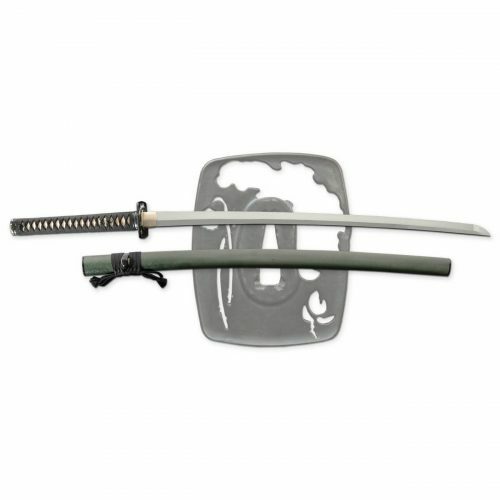 This Katana Come With a Free Sword Bag and Maintenance Kit! 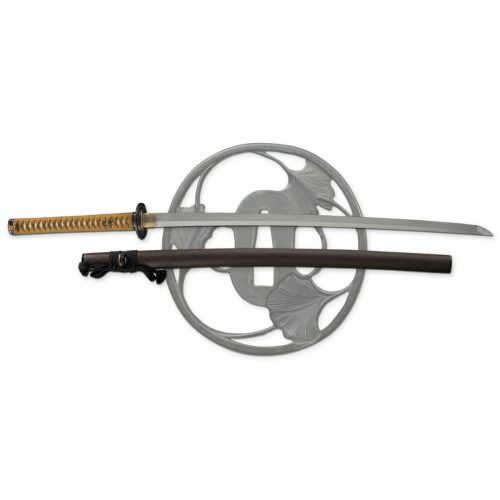 One of our most popular swords! 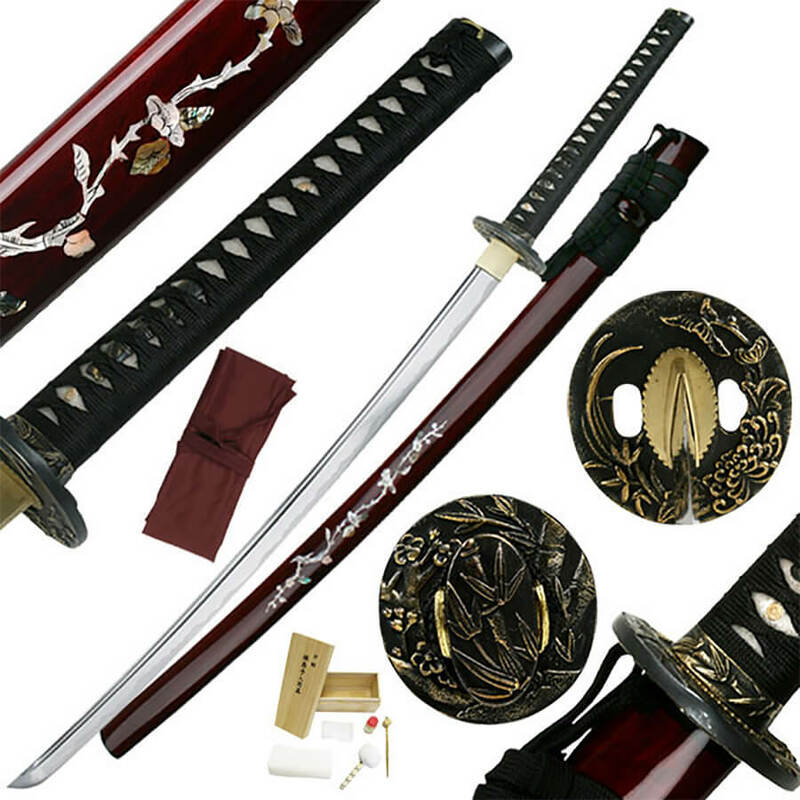 Everyone who sees the Rosewood katana is amazed at the hand detailed saya! 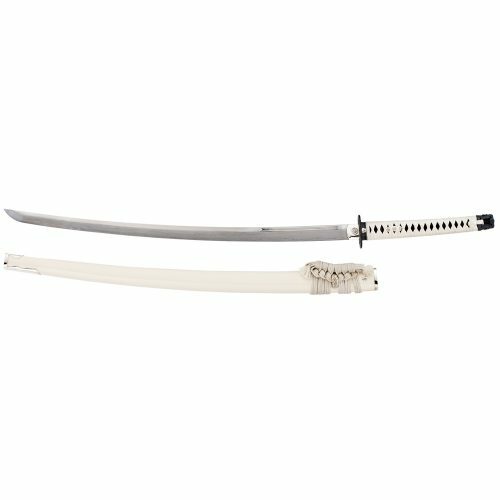 This sword features a full tang, differentially tempered, hand forged carbon blade with full bo-hi, but this katana is more than just a showpiece. 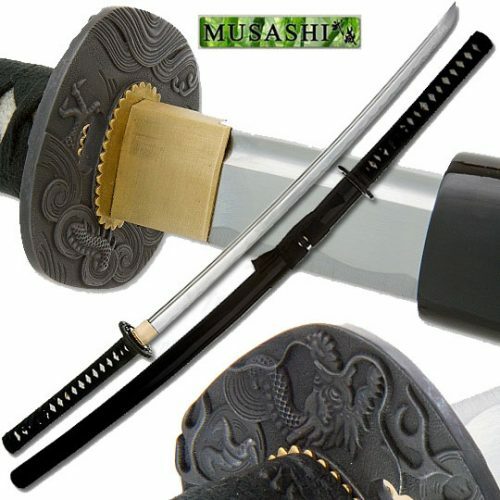 The Rosewood katana also serves as a durable practice sword. The fittings feature excellent detailing and are of high materials quality. Note the thickness of the iron tsuba. This build quality and attention to detail is found throughout this beautiful hand forged sword! Overall: 42 inchesThis is a sharpened, battle ready sword. 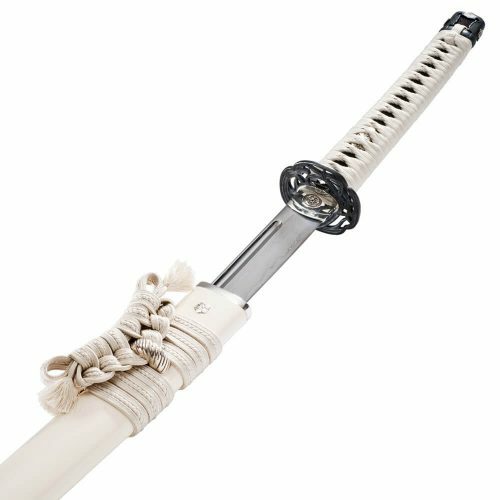 You must be at least 18 to order this katana.